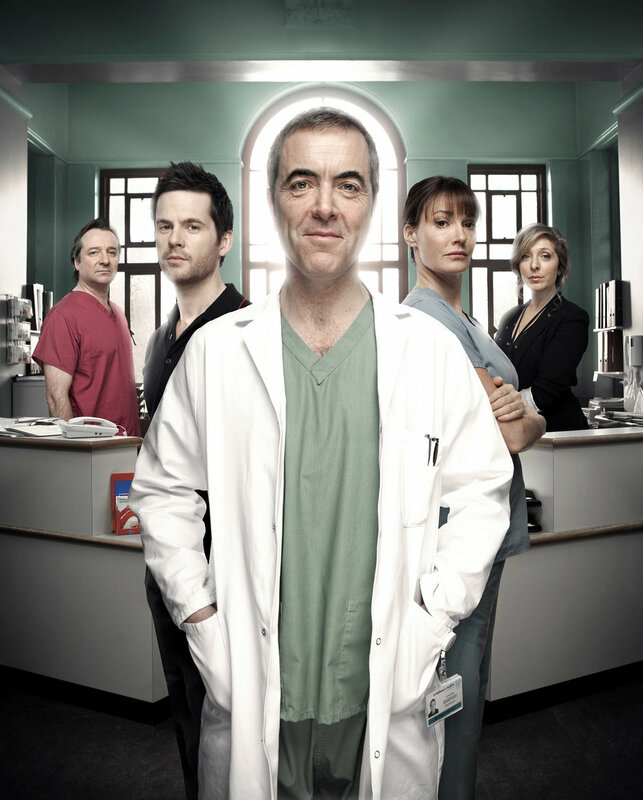 Monroe is a medical drama show following the neurosurgeon Gabriel Monroe, played by James Nesbitt. I had previously shot images for the first series, and now we returned to shoot series two. 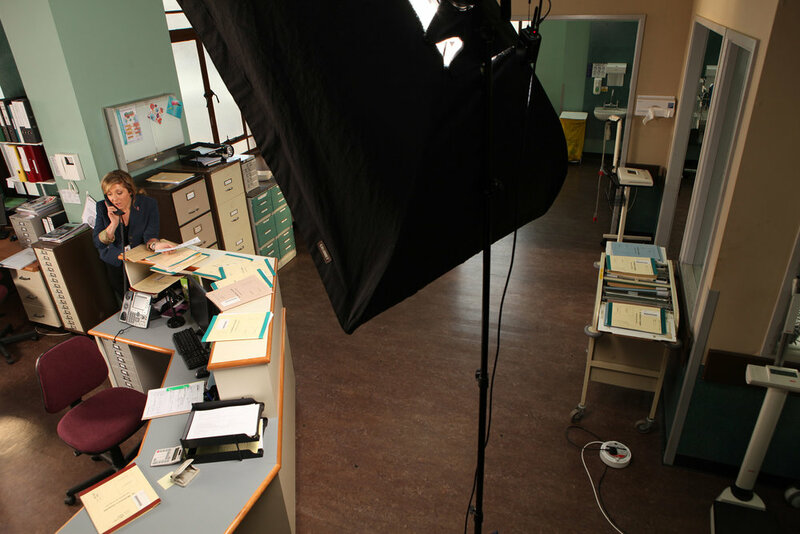 Filming was in Leeds, so we travelled up on the train and shot a series of set ups in the old Leeds Girls' High School building, which was used as the hospital in the show. The main group shot was shot in situ, but the various cast members were all availble at different times according to their filming schedules, so I had to shoot it in bits from a fixed camera position and gradually piece it together to make the full 11 person group shot.